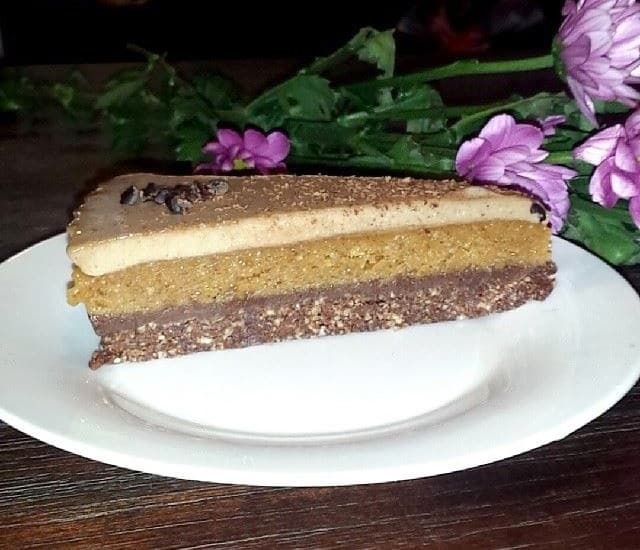 This is a raw version of Reese's peanut butter cups meet Nutella cake. Four rich nutrient filled layers: chocolate crust, Petra's raw homemade chocolate, peanut butter filling and moussey hazelnut ganache. 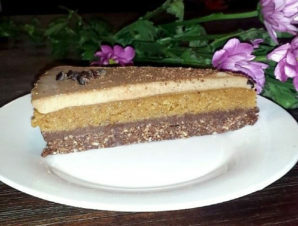 This is a raw version of Reese’s peanut butter cups meet Nutella cake. Four rich nutrient filled layers: chocolate crust, Petra’s raw organic homemade chocolate, peanut butter filling and moussey hazelnut ganache.